Anyone who wanted to pay the price of admission—up to $30 per person—was welcome to enter, but at this food fair, you needed a medical marijuana card if you wanted to try all the goodies on hand. San Francisco was home to the first annual Get Baked Sale—a chance for more than 25 local cannabis companies to show off all sorts of edible items packed with medical marijuana. According to SF Gate, patrons with proper ID could chow down on everything from Chilean empanadas to ice cream sandwiches, pancakes to macaroons, and—why not—pot-laced Doritos. 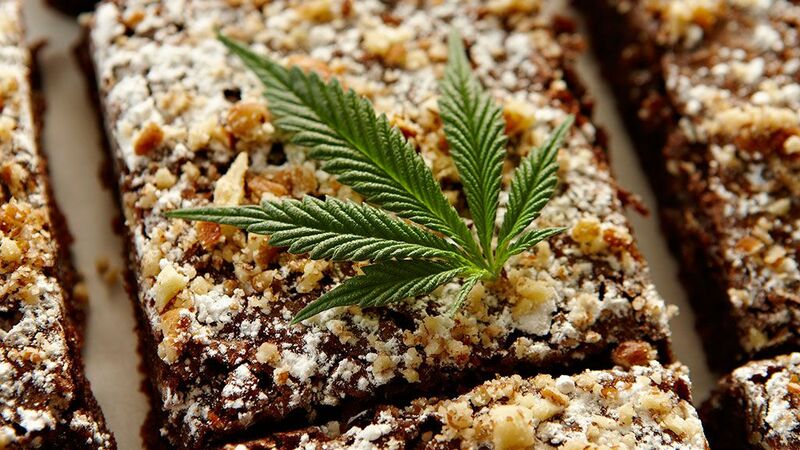 You could even take part in a marijuana edibles food pairing or attend cooking demonstrations. Though good luck remembering any of the recipes after all that taste-testing. The event comes as Californians gear up for a ballot initiative in November that could make them the latest state to legalize the leaf. For now, however, marijuana is still only legal for medical purposes in California, and it's completely against the law on a federal level. This didn’t seem to deter event organizers. “Everyone came prepared, and the planning went smoothly,” said Morgan Kelly, who put the Get Baked Sale together. “We knew the laws, followed them completely and had permission from the (city) health department.” According to Kelly, there weren’t even any police officers at the event. There were, however, doctors who were issuing medical marijuana cards on the spot for people exhibiting any of the wide array of symptoms that pot could help alleviate. The line wrapped around the corner, but my guess is most of the people in it figured it was worth the wait. According to SF Gate's Smell the Truth blog, the eight-hour event attracted hundreds of attendees. Hopefully, they are all feeling a lot better. Medically speaking, of course.